Photos contain lots of cherished memories and most people save them on their computer as backup. However, sometimes a system crash or some other issue deletes the data stored on computer. If your valuable photos got deleted from your computer, then don’t worry; you can know the way to recover deleted photos from computer. Is it Possible to Recover Deleted Photos from Computer? Yes, getting your photos accidently deleted from your computer is not the end of the world. In most cases, you can recover them. In fact, any data deleted from your hard drive can be recovered via professional data recovery software. However, the chances of successful recovery vary depending on various factors. You can increase the chances of recovering your deleted photos by making sure that no other data is written/stored in that folder until they are recovered. It also depends on the effectiveness of the data recovery software. So, make sure to use a professional and reliable data recovery software to get your photos back. iMyFone AnyRecover is a powerful data recovery tool that is capable of recovering all kinds of files, including photos. If your valuable photos got deleted accidentally and you want to recover them as quickly as possible, then it is highly recommended to have a try of AnyRecover. 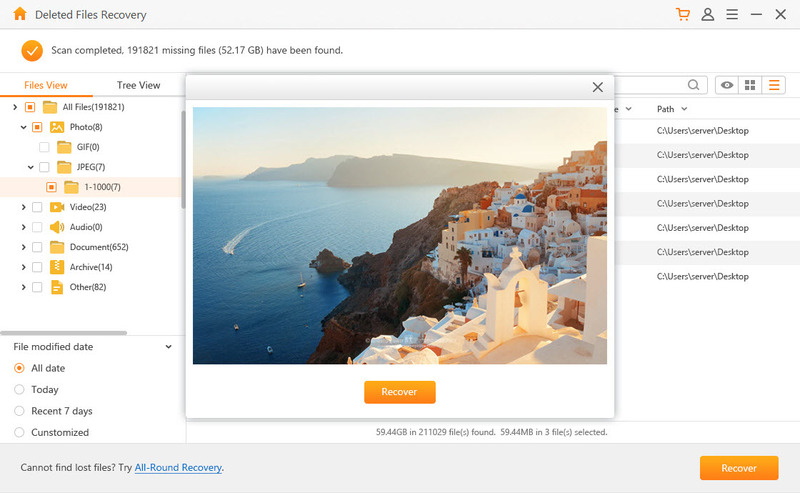 The ‘Deleted File Recovery’ mode of this software will help you recover your deleted photos as quickly and efficiently as possible. iMyFone AnyRecover has a trial version which allows you to test the software. If you are satisfied with its performance, then you can purchase its license to unlock its full potential and drastically increase the chances of recovering your deleted data. Recover deleted/lost data from your Windows PC and Mac, no matter how they were deleted (accidental deletion, malware, system crash, etc.). Unlike many other data recovery tools, iMyFone AnyRecover can recover 500+ file types including videos, photos, email, documents, etc. AnyRecover has the highest recovery rate on the recovery software market. AnyRecover has a user-friendly software interface. You don’t have to be tech-savvy in order to easily access and use all its modes. Preview and recover your data selectively. Step 1. Open AnyRecover on your Windows PC or Mac. Step 2. 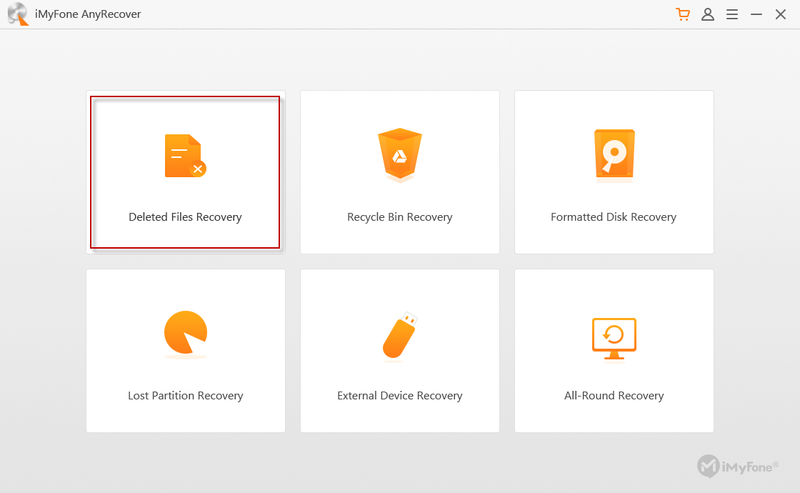 From its home interface, click the ‘Deleted Files Recovery’ mode. Step 3. Next, browse and go to the location on your computer’s hard drive where your photos were stored at the time of deletion. Once you are there, click on the Next button, select file type, and then click Scan. Step 4. After the scan is complete, browse and check the photos that need to be recovered and then click the ‘Recover’ button to start the to recover them. Usually, when you delete files from your computer, they are moved to a temporary storage called Recycle Bin. The moved files are stored in the Recycle Bin for 30 days before they get removed automatically. If the Recycle Bin is enabled on your computer, then chances are that your deleted photos will be stored there. You can easily restore them. Step 1: Open Recycle Bin on your computer. Step 2: Look for the photos that you wish to restore and select them. Step 3: After selection, click on the Restore option in the right-click menu. They will be recovered to the original location. Another way to recover deleted photos from computer is by using the File History backup feature of Windows. Note that you will only be able to restore your photos if the File History feature was enabled at the time of their deletion. The process to do this is quick and straightforward. Step 1: Go to the folder where your photos were stored before deleting. Step 2: Right-click on the folder and then choose ‘Restore previous versions’ option. Step 3: Now browse and select the version of photos that you wish to recover and recover them by clicking the Restore button. There are three main reasons computers crash and data gets deleted. These include malware infections, registry damage, and hard drive failures. By preventing these three from occurring, you can avoid photo loss. 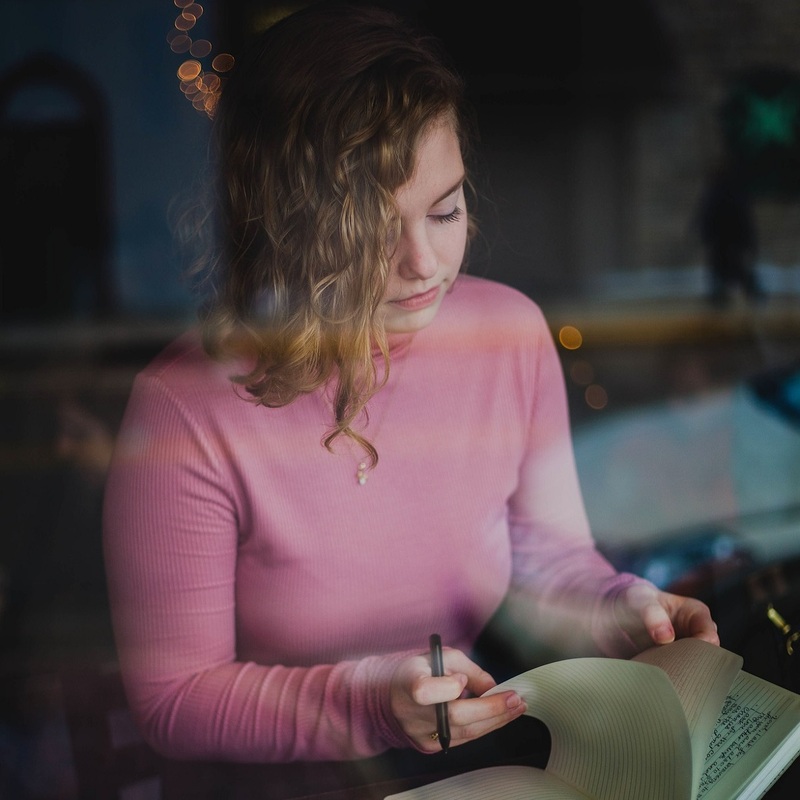 Store Your Photos in Different Locations: Create multiple partitions of your hard drive and keep the operating system in one and your valuable data (e.g. photos) in others. Stay Clear of Malware: Install a quality anti-malware program on your computer and keep it up-to-date so that no virus or malware can attack your computer. Backup Your Data: Create frequent backups of your photos. You can also upload your valuable photos to cloud storage such as Dropbox, Google Drive, iCloud, etc. as a backup.